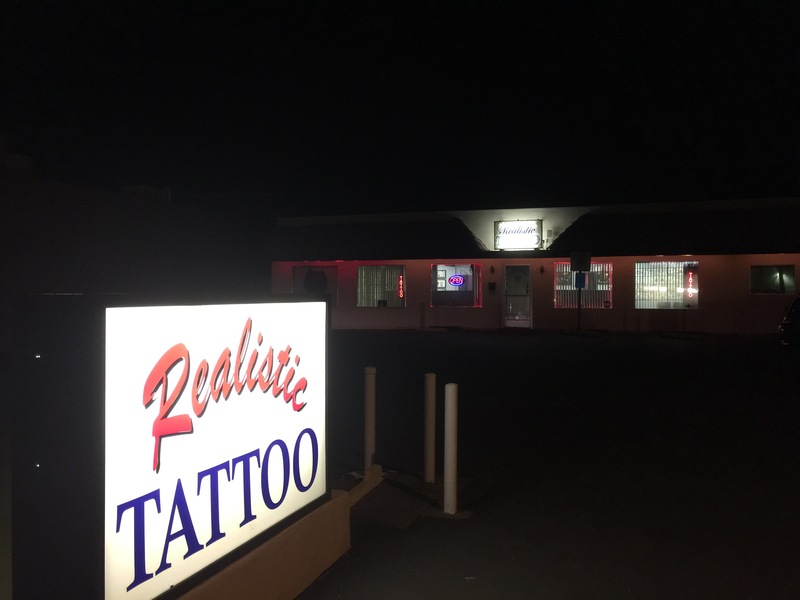 Here at Realistic Tattoo we offer legendary tattoos in the coolest shop in 29 palms. We have a wide range of talent and personalities; All our artist are experts in black and grey, military, tribal, lettering, modern, new school, traditional and portrait work…. We also pride ourselves in tattoo restoration either repairing old or poorly done designs or cover them with a new tattoo.. If you need custom work or have your own design, we&apos;ll be happy to work with you. So, if you&apos;re old tattoo is not becoming to you…..you should be coming to US!! Our advice is free!! We have been tattooing the military for over 40 years and are the most PREFERRED! !